We are planning a trip to the mountains this fall, and one stop that I want to make is to South Carolina to tour the 2014 Southern Living Idea House. 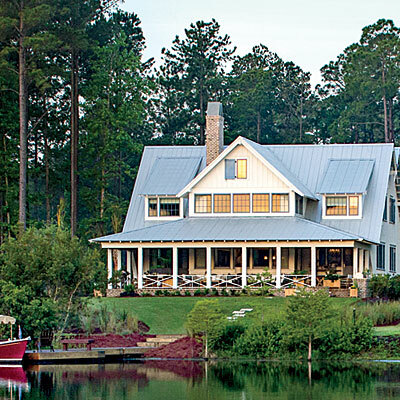 Located in Bluffton, SC this coastal inspired home is designed to inspire you and your home! Sounds like a plan right? I'm all about idea houses. If you haven't ever toured one you really are missing out. They are chock full of the latest and greatest of everything! I'm talking cutting edge! And even though for most of us we will never have these things in our own homes, there is always something for everyone! Even if it's a idea for some new pillows. They are that inspiring! I'm getting all tingly just talking about it!! I thought I would share with you some pictures of this lighter, fresher and more livable house to show you why I want to go there so much! A large brick porch is there to welcome you home! 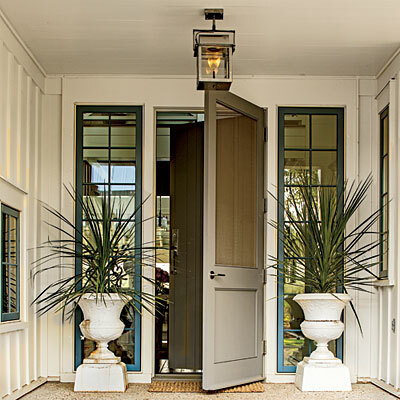 Who wouldn't love an entrance like this to welcome guests? 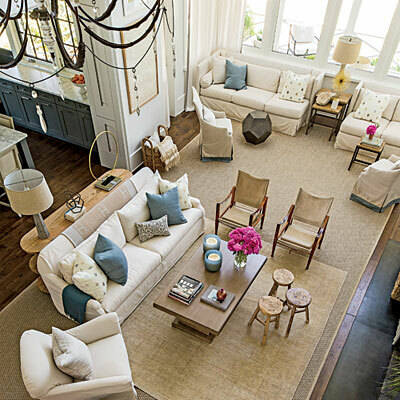 Architect Ken Pursley and Interior Designer Suzanne Kasler (who has a line of home decor at Ballard Designs) worked beautifully together to create this spectacular home. Love the kitchen. So open and airy with open shelving and huge windows to let in all that beautiful light. 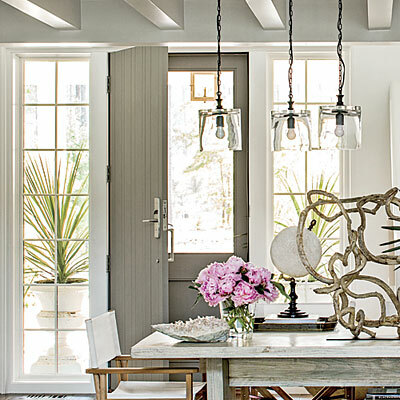 The chandelier is a statement piece in itself. Looking down to the Living Room. This seems like a very relaxing and comfortable room with the neutral color palette. The master bathroom reminds me of the color of Sea glass. The master suite is again very calming with the neutral color tones. 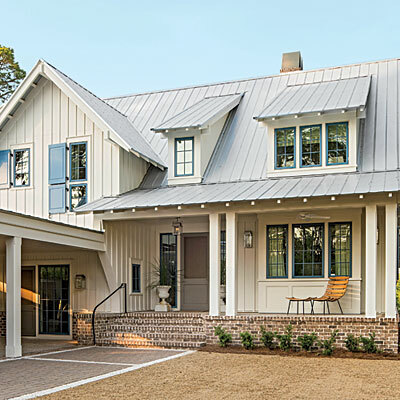 The house is surrounded by Pine trees and nestled beside a lake with a porch that let's you take in breathtaking sunrises. Yes, please!! 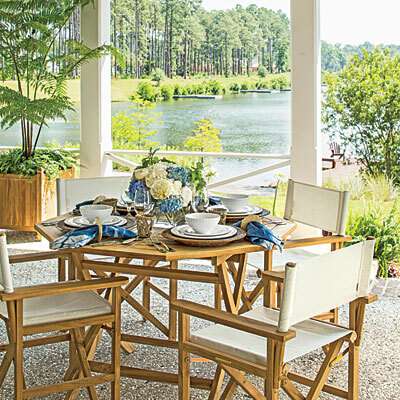 Couldn't you see yourself having a family breakfast or dinner on this porch? If we get a chance to tour this home in the fall I'll have even more detailed pictures to share with you! Wish me luck in getting there! !